never not dreaming: New in. More autumn pieces. What's new in my wardrobe? For sunny autumn days (which, I have to admit, we had plenty of this month in the UK) I picked up a few new pieces. Hopefully, you will be able to see how I wear them them on the blog very soon. A new pair of shoes is no surprise to anyone who knows me. 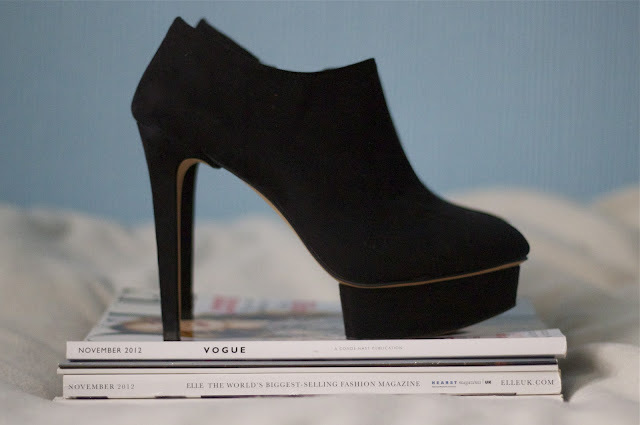 This time, though, it's a simple pair of black suede heeled ankle boots. I have been looking for an emerald wool coat for a bit with no great results. However, I managed to find a lovely skirt in a darker shade of this colour and... peplum! I couldn't really get round this trend last season... I got not only a peplum skirt but a lacy top with leather peplum as well! It must be a phase... 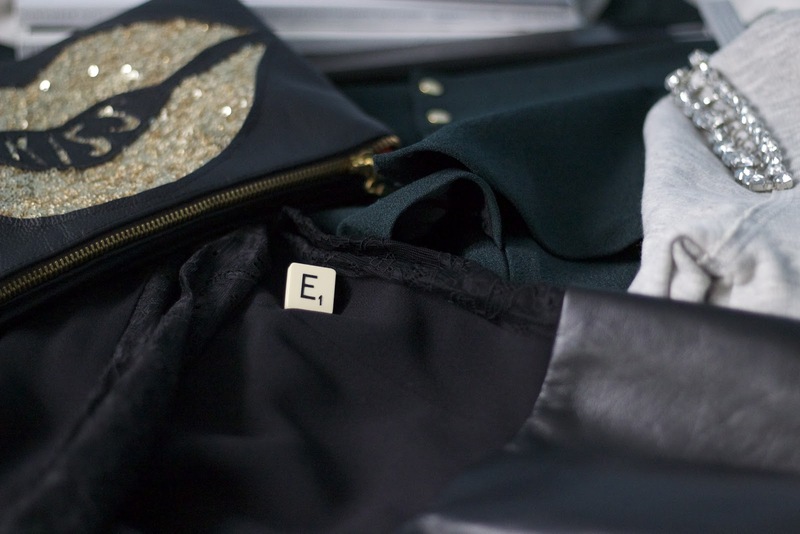 I also found a fantastic leather 'kiss' clutch in one of local designers' boutiques after going to a vintage fair where I picked up a tacky but cute Scrabble ring with the initial of my name. Couldn't resist... I topped my weekend shopping up with a grey jumper with a twist - little sparkly bits on the shoulders. I even don't mind that they make a noise as I move! It had to join my wardrobe. So, ladies and gentlemen, keep on looking out for the upcoming posts where you will be able to see these little treasures. Nothing puts you in a better mood than a successful shop, right?